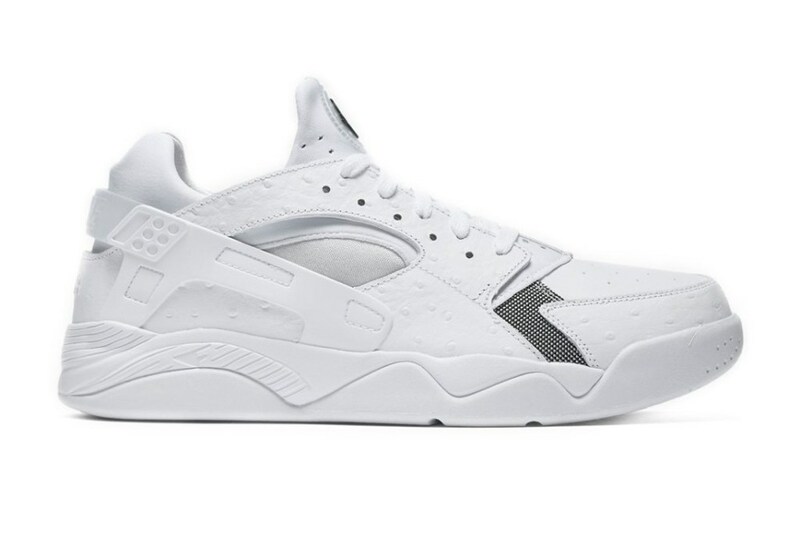 Nike's Air Flight Huarache Low Silhouette - "White Ostrich"
Made famous by the University of Michigan’s Fab 5 during their dominance in the 90s, Nike’s Air Flight Huarache silhouette has gained a ton of respect over the years. Being retroed a numerous amount of times and also previously introduced in a black dominated low model, the shoe is taking the low route once more with a twist to its material. Covered in a white-based upper supported by black detailing, Ostrich is found throughout the upper of the Nike Air Flight Huarache Low. Staying traditional, you’ll also find the shoe’s unforgettable liner to host a comfortable neoprene material as seen in majority of Huarache shoes.